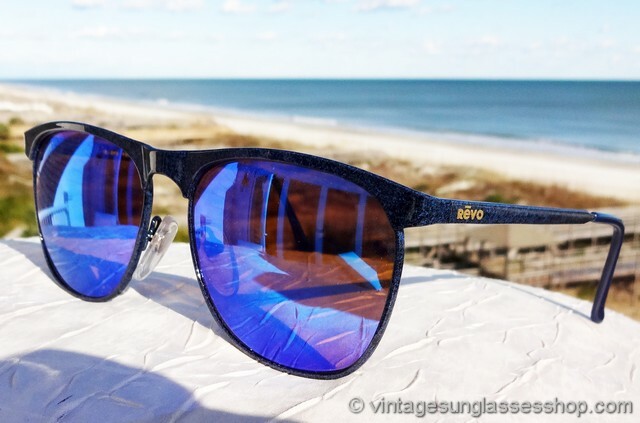 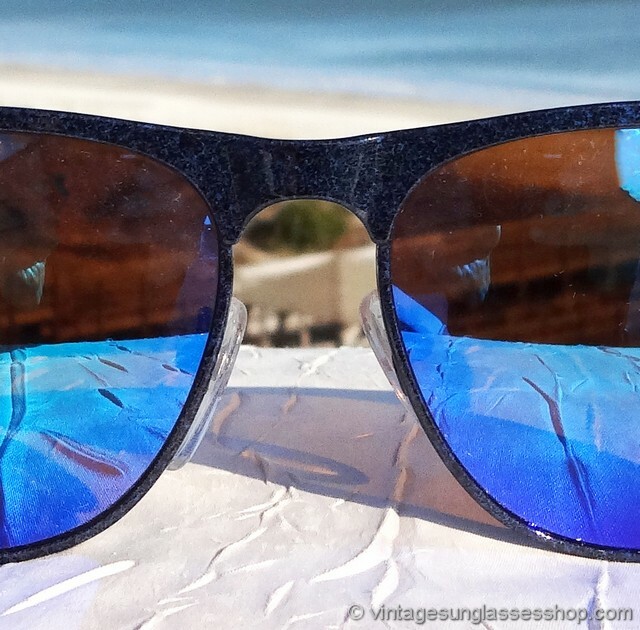 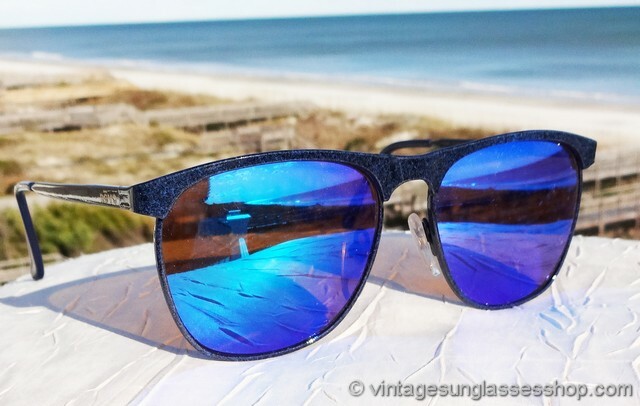 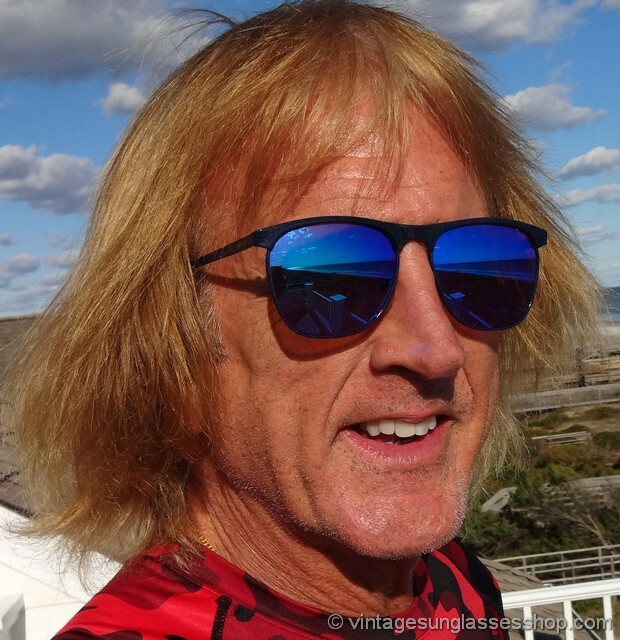 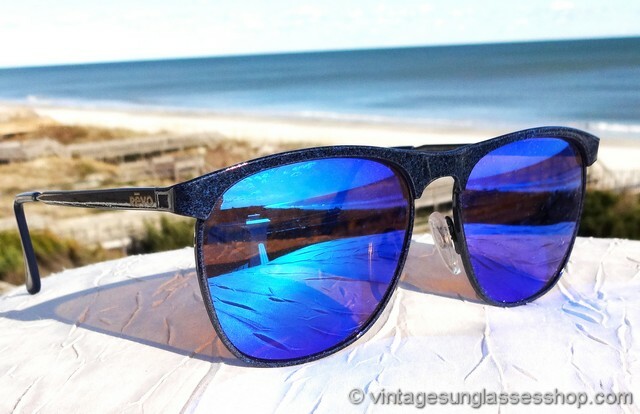 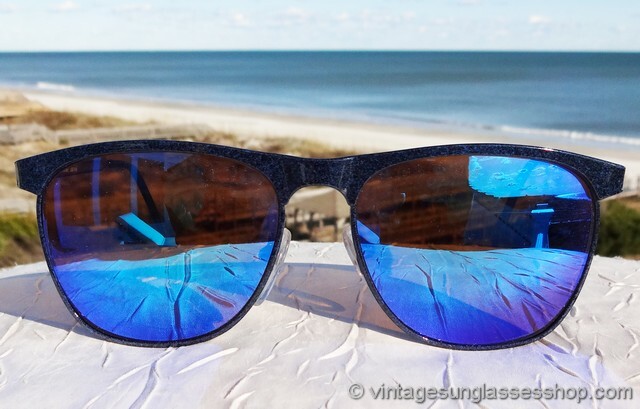 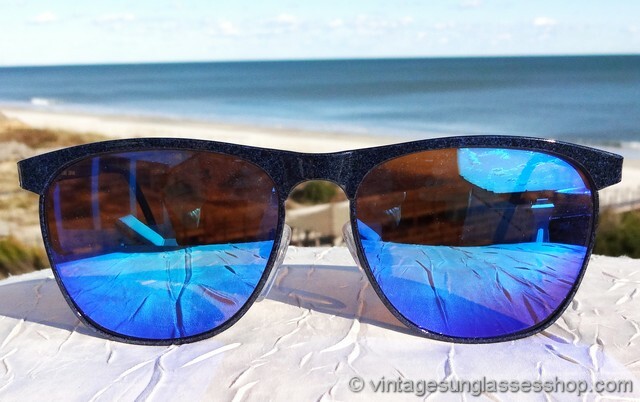 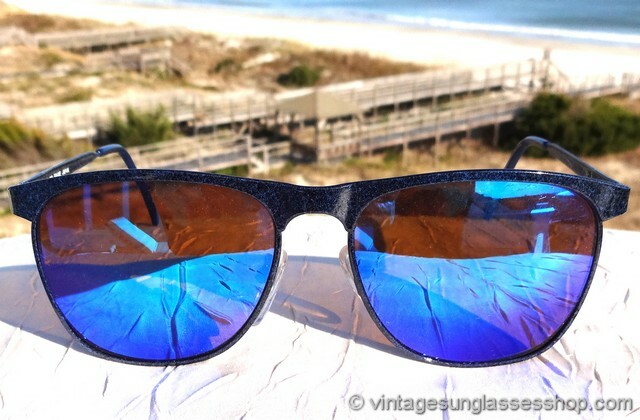 If you want a style of vintage Revos that are perfect for active outdoor activity but basic black bores you and the extreme design of Oakleys isn't for you, check out vintage Revo 963 018 blue mirror sunglasses. 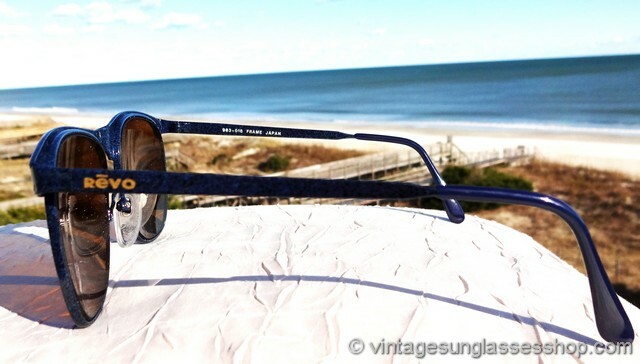 The frame is a mottled dark blue, and it's subtle and elegant with the colors really coming out in the light. 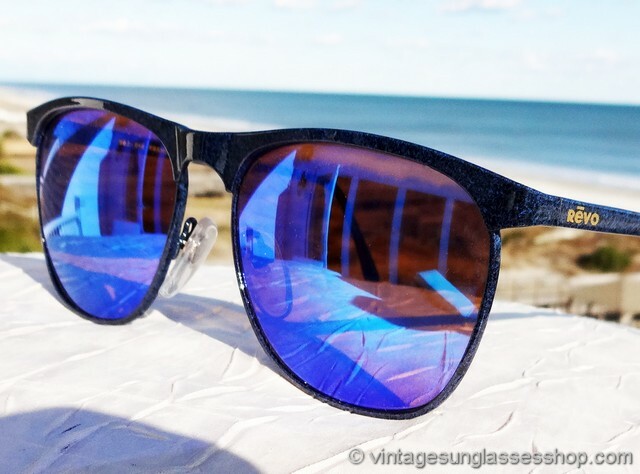 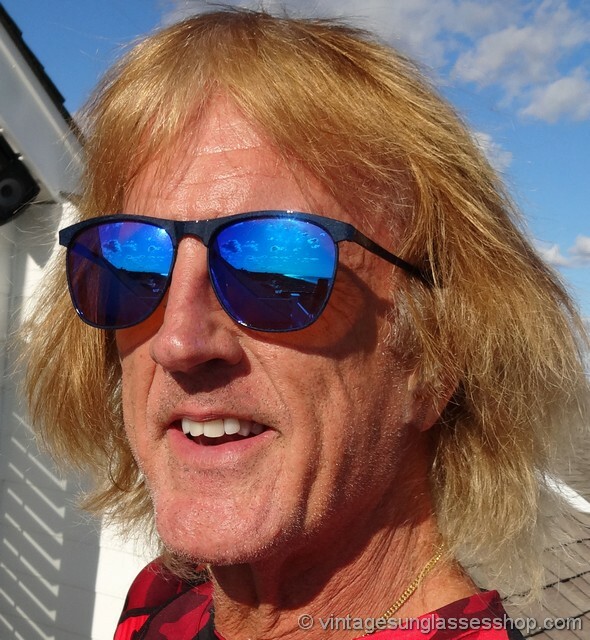 Needless to say, it looks fantastic when paired with the Revo blue mirrored lenses, highly reflective with lens coatings pioneered in the NASA space program and offering 100% UV protection. 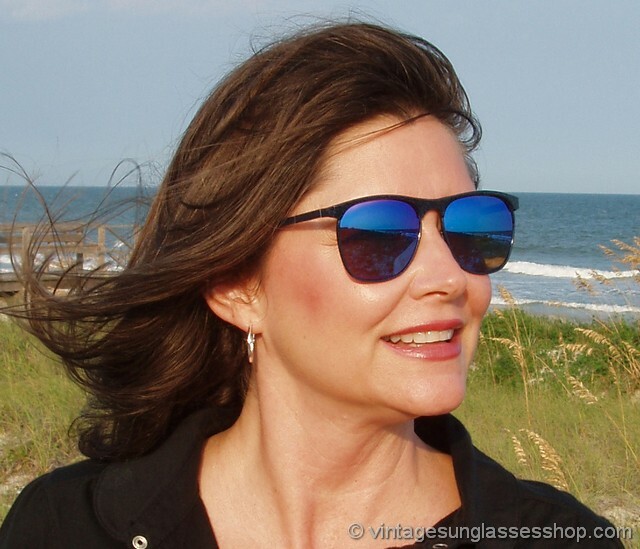 Revo 963 sunglasses are a nice size that's large enough to be good for outdoor activity like boating, with lenses measuring approximately 2.125" x 1.75" at the widest points and frame measuring 5.5" temple to temple. 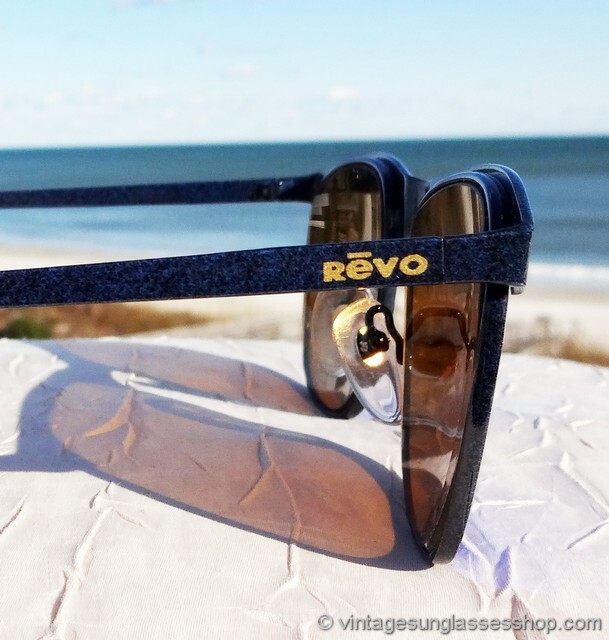 Both ear stems are marked with the Revo logo in gold near the hinge points, and the interior of one ear stem is marked 963-018 Frame Japan. 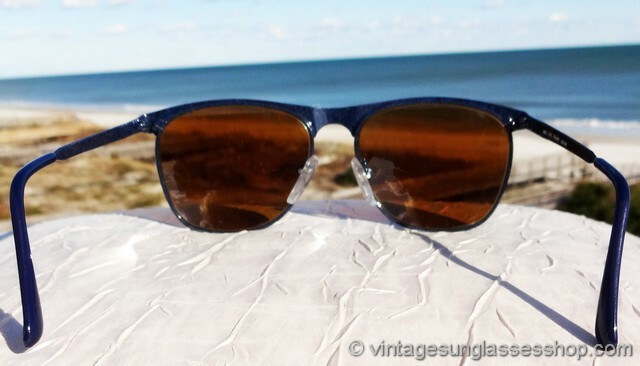 Revo 963 018 sunglasses were a low production style quite hard to find today, part of a superb collection of vintage Revo sunglasses owned by a well known business executive and customer of the Vintage Sunglasses Shop.